People have been going on diets for generations. I am going to finally say the absolute hard truth that many of us know, but don’t want to believe. Diets do not work. PERIOD. I have finally reached a point where I am beyond sick and tired of the scale reading above 200 pounds!! I was at the doctor’s office day before yesterday and I don’t remember her exact words, but I was called Obese. Until you hear those words being directed directly at you, you have no clue how it stings. I have tried diets before, just recently I tried cutting out pop and realized I couldn’t do it. I was not mentally prepared. That’s the key factor! Your mind has to be all in, or you will fail. Oh, but I can have that one can of soda pop. Just one chocolate bar won’t hurt, right?! Next thing you know, it’s a daily routine!! Diets do not work, a lifestyle does. It needs to be a lifestyle change. Today it changes! This is the end!! The end of bad decisions! They say it takes 30 days to make a habit. 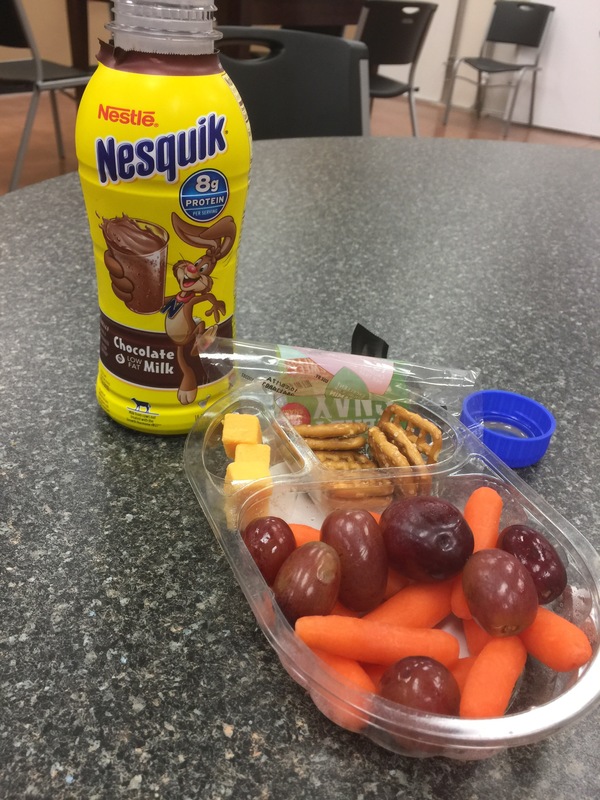 Today, I am having a fruit snack pack with pretzels, grapes, carrots and cheese and Nesquick chocolate milk to wash it down. Yes, I read the label before I purchased it. 8 grams of protein. 2.5 grams of total fat. 130 mg of sodium. 22 grams of sugar. Is it the most healthy??? No. But, I have currently had over 60 ounces of water at 12:35p.m. So, it balances, right?? That’s another key. If you want to find success in anything you do, it needs to create balance. If the activity in which you engage is not balanced, it will not work. Just like a checking account, something somewhere will become overdraft. How are you keeping the checks and balances of your life today? Are you over drafting in an area? How can you deposit into that account? Everything in life can be in balance. But you have to reach that end point where you say, ‘I refuse to live this way anymore! !’ Bad habits can end today. What do you need to have see the end today? Next You Can’t Tell Me! !